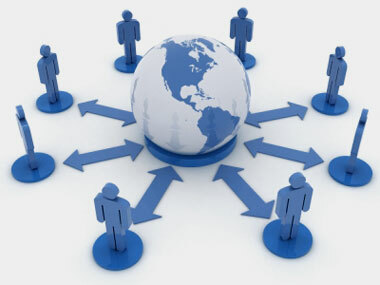 Online collaboration software allows you to work effectively together no matter where you are located. Whether you are working on a project with people in the same building or spread around the world, you know how challenging it can be to get everyone on the same page and working together in a coordinated manner. A variety of online tools (such as email programs, online calendars, wikis, file sharing tools, etc.) are available to make it easier for you to collaborate online but they also create new problems since it can create information silos, where your project information ends up being spread out across multiple tools. Online collaboration software attempts to solve the information silo problem by combining multiple online tools into an integrated solution. As a result, you and your team members can use one tool for all your project collaboration needs. With so many tools available, however, it can be difficult to find the best online collaboration tool for your needs unless you know what to look for. At TeamWork Live, we believe we've set a new standard for online collaboration with our suite of feature-rich tools and functionality. Coupled with our intuitive navigation, deep integration with email, and superior customer support, your project team is guaranteed to work more efficiently than you could have ever imagined. Take a tour of our hosted web collaboration software or see our pricing options. We're so confident that you'll love how simple managing your projects can be with TeamWork Live that, for a limited time, we offering a 30-day free trial on all our membership plans. Thanks for giving TeamWork Live the opportunity to make group collaboration simple, effective, and packed with advanced features. If you have questions at any point before, during, or after you register, please send us an email at support@teamworklive.com.